Leadership is not easy and most people are not cut out for it. Whether you are the leader of a small group or a large nation, you will face serious challenges. People will challenge your authority, your leadership ability, your goals and direction. After a while someone else might feel that you have lost your edge and they are more suited to replace you. The king is dead, long live the king. I want all of you to know something; you are not alone. As I said, whether you are an instructor with a few students, or head of an international organizing, this will happen. Someone will think they know better than you, someone will get insulted over nothing, you will soon find yourself feeling more like a baby sitter for adults than a martial arts instructor. There are days I dream of being a street cleaner. Honest. On my mother's side I have traced my family line back to the Jewish leaders of Babylon. They held the position of Resh Galutha, Head of the Exiled People, or Exilarch. The first one to hold this position in our family was Shealtiel from the year 586 BCE. The position was held in the family for centuries. This is what is written in history about the position. "Moreover, in order for the position to work it required an almost superhuman individual. An ordinary person would be broken by the job because of the conflicting demands and pressures. The Jewish people were fortunate enough that at least half the time – perhaps 70% of the time – they had such super-people. Under their leadership, the Jewish community prospered and was able to keep at bay the pagan authorities at the same time controlling internal divisions within the community." Now remember these words were written about a job held by my family and others from over 2,500 years ago! Has anything changed? No. People are not easy. Moses himself complained bitterly about his position of leadership. So I hope this brings some comfort to all of you out there. Hang in there. Recently one of most long term IKI members wrote me a heartfelt letter about some problems he was facing. I am deleting the details and names in order not to embarrass anyone. Our purpose is to learn, not to embarrass. Long story short they no longer train with me- I survived their cowardly attacks-the only thing I regret is that he even got his yellow belt. It was a lesson learned for me even with all my many years of experience this was a first. My goal isn't to hurt anyone but to pass along survival skills- when a student of such low rank sets out to cause you problems and question decisions you have made in your personal life and slander you but then smile in your face during class its and eye opener. I'm sure in your position it happens a lot. My reply was if they questioned my decisions so much may be they should look at the certificate and belt I had signed for them and ask themselves-if they really deserved it and are they honoring the system by being a backstabber. 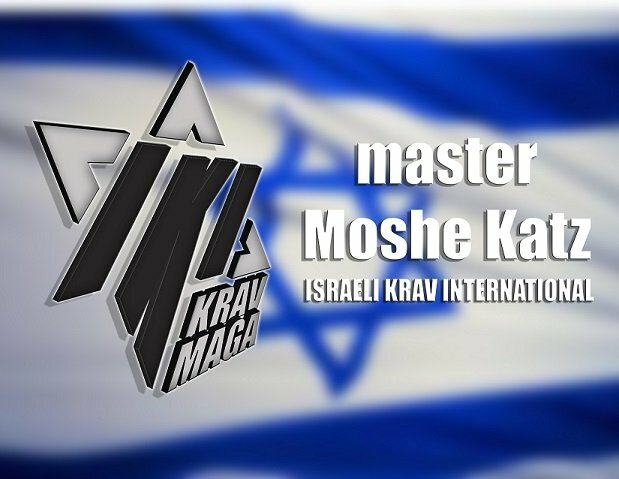 I am a life long IKI Krav Maga Practitioner I love to train under pressure and in diverse conditions, I thrive in scenario training. The IKI has helped mold me into a better person,I thank you for allowing me to be a part of it-its a family. In my town I am mainly a personal trainer and run fitness programs but when we do our self defense we take it serious- Thank you for all you do." I wanted to share this letter with all of you because I know we all have this sort of experience from time to time, on one level or another. People will criticize us, but remember, this is not a reflection on us or the work that we do. Look at who is saying it and take it in the proper proportion. I myself have been told by an 18 year old that I do not know how to teach very well. Guys, you are doing important work, do not let anyone take you off your course. You are on a holy mission. We all are shaken now and then by unfair criticism. Stay Strong. Stay above it, remain true to yourself. Remember who you are.